This is an extremely easy breakfast that is packed with protein and flavor. Try it out next time you want a delicious treat in the morning. I love eating this before or after a great workout. Cook oatmeal as normal on the stove top. 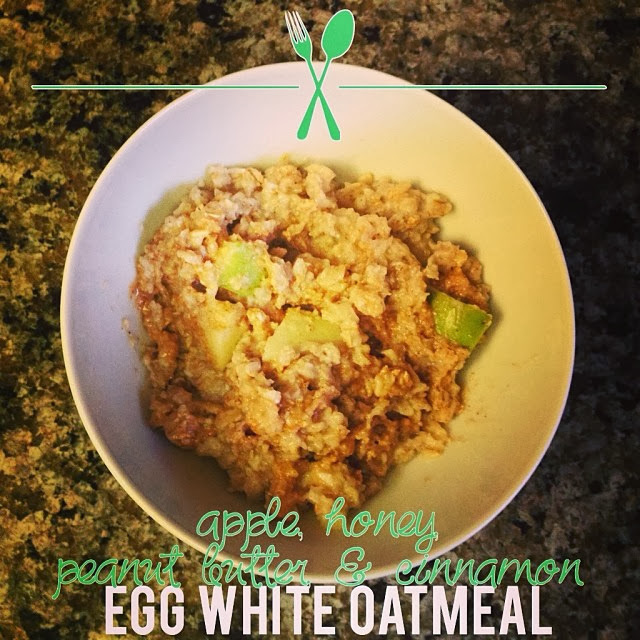 Mix in egg whites, honey, peanut butter, and a sprinkle of cinnamon.